Kiosk was honored to be recognized at the Spirit of Marin Awards, which are given to companies and individuals demonstrating philanthropic leadership and engaging in volunteerism in our community. 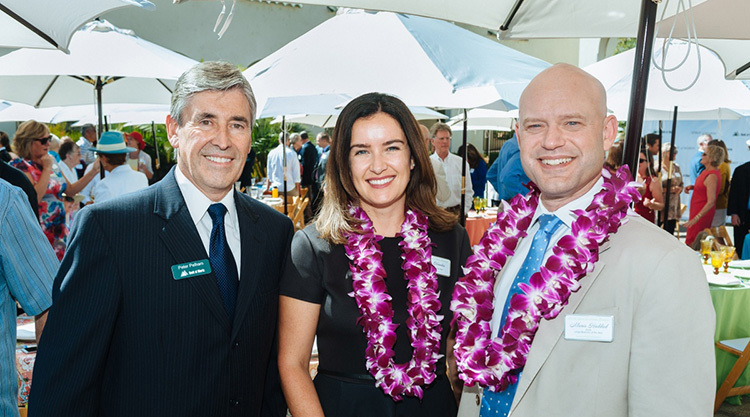 The event is hosted by the Bank of Marin, with winners nominated by the Marin County Chambers of Commerce. At Kiosk, supporting our local community has always been one of the cornerstones of our business, and in the past year we’ve focussed our fundraising efforts on Homeward Bound of Marin, who provide vital services for homeless families and individuals. As well as fundraising for the charity throughout the year, we have supported their work in practical ways too, such as pro bono web development for three of their websites Homeward Bound of Marin, Wagster Dog Treats and The Key Room, and through volunteer work at their organic garden. Homeward Bound of Marin helps people get their lives back on track, and contributing to their efforts has been a richly rewarding experience for all of us at Kiosk. We joined other Marin business professionals at the awards luncheon, with Olympic gold medal winning skier Johnny Mosley as guest speaker. Amongst the things we took home? 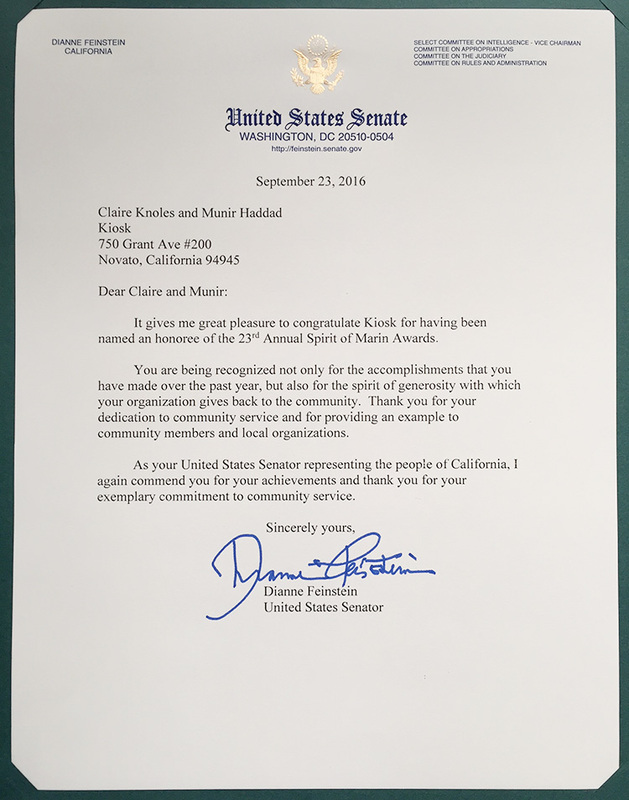 A letter of recognition from Senator Diane Feinstein and a renewed sense of conviction that when businesses commit to sharing in the spirit of their communities, everyone wins.